Would you like to follow Keyaki ? You're following Keyaki and will get its daily lunchtime offers on your start page. Japanese delicacies and delicacies - authentic, fresh and unforgettable tasty. Originals in the kitchen and on the plates: Our sushi master and his assistants have learned and perfected the art of cooking in the Land of the Rising Sun. All dishes are prepared according to Japanese original recipes and presented in a local way. Chef Robin Ong has learned his trade with Japanese chefs from scratch in Singapore. In Singapore, he was honored in 1998 as one of the 12 best chefs. He has been working in Germany since 1999 and is one of the few true Suchi masters who work in the south of Germany today. 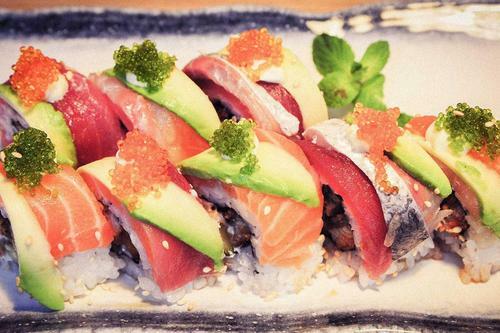 Fresh and healthy delights: Japanese cuisine is one of the healthiest in the world. Our sushi master sets great store by the fact that every day all ingredients are freshly selected and processed. And that looks and tastes.